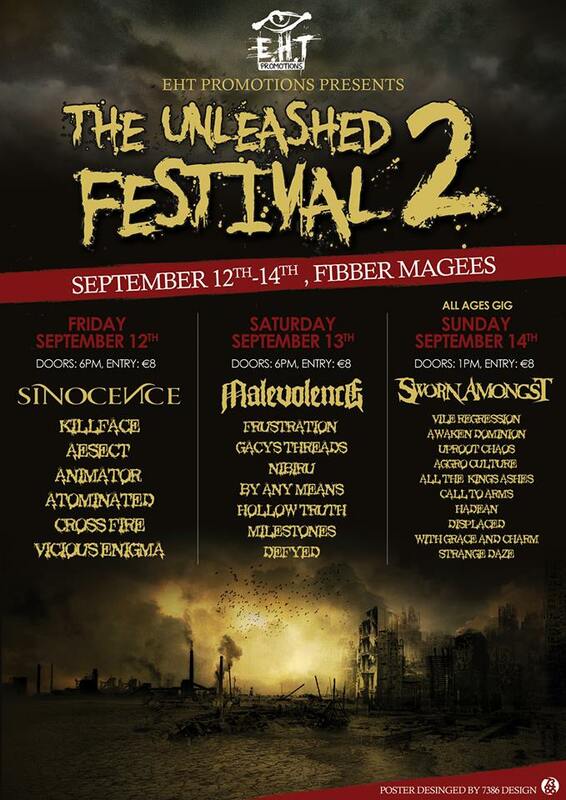 This entry was posted on April 14, 2014 at 2:47 pm and is filed under Festival News, Gig Review, Music, News with tags Aesect, Aggro-Culture, All The Kings Ashes, Animator, Atominated, Awaken Dominion, By Any Means, Call To Arms, Cross Fire, Defyed, Displaced, EHT, Fibber Magees, Freebase, Frustration, Gacys Threads, Hadean, Hollow Truth, Killface, Malevolence, Milestones, More Bands Tba, Nibiru, Sinocence, Strange Daze, Stronghold, Sworn Amongst, Unleashed festival, Unleashed Festival 2, Uproot Chaos, Vile Regression, Viscous Enigma, With Grace And Charm. You can follow any responses to this entry through the RSS 2.0 feed. You can leave a response, or trackback from your own site.